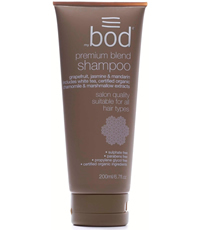 Bod’s premium blend shampoo provides a superb clean, leaving the hair soft and silky smooth. Combining white tea, certified organic chamomile and marshmallow extracts with grapefruit, jasmine and mandarin essential oils ensures the ultimate hair cleansing experience. This shampoo is of salon quality and suitable for all hair types. Bod is the winner of Her World Beauty Award 09/10 for Best Organic Brand. This entry was posted in Uncategorized and tagged BOD PREMIUM BLEND SHAMPOO, Fr3b Singapore’s 1st Sampling Concept Store, Fr3b.com, free beauty samples, Free giveaways, free samples, freebies, S’pores 1st Sampling Concept Store, singapore free beauty samples, singapore’s 1st online sampling platform. Bookmark the permalink.